Not cartoons, nope, but one of my other favourite things: COMICS! 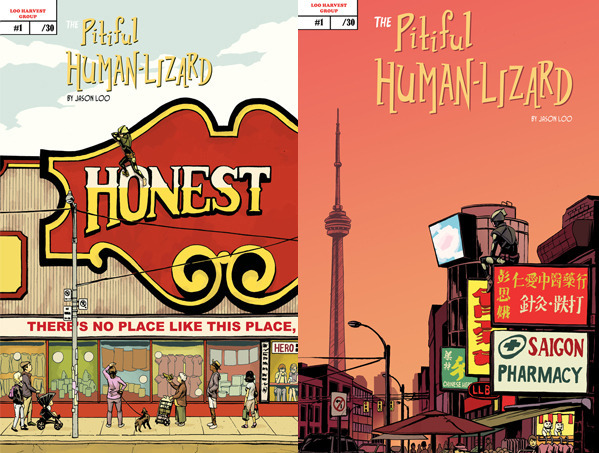 Toronto comics creator, Jason Loo, is successfully running a modest Kickstarter for the debut, 52-page issue of his self-published book, the Pitiful Human Lizard. I’m super-excited about this book. It looks like a ton of fun, and the Toronto-setting is close to my heart. 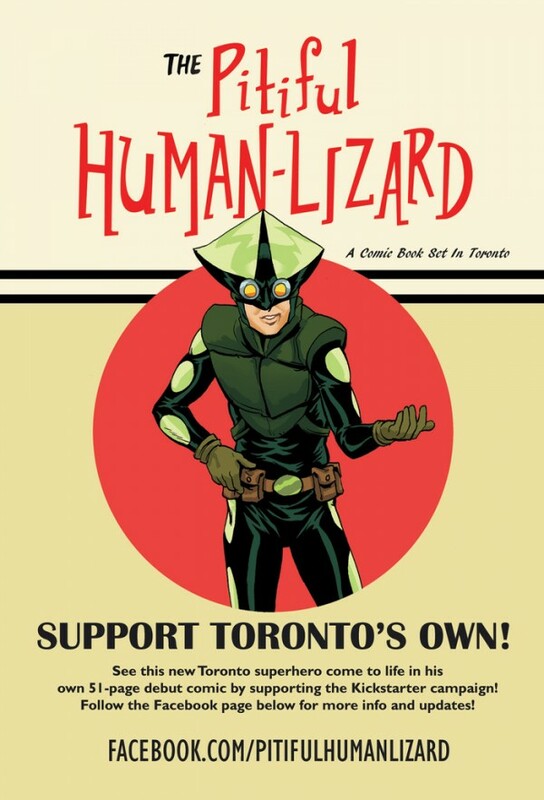 The campaign is fully-funded, but that shouldn’t stop you from getting on board and grabbing a copy for yourself. I haven’t seen any more of it than is available on the Kickstarter page, but this is one of those projects that just caught my eye, in that strangely profound kinda way. I don’t want to jinx it by overstating my hunch about the book, so let’s just say I’m cautiously optimistic about what Jason’s putting together here. PS: Here’s a bit of press. This entry was posted on Friday, March 21st, 2014 at 10:54 am	and is filed under comix. You can follow any responses to this entry through the RSS 2.0 feed.